Reported a drain problem to Anglian Water and they got you to unblock the drains in the village (Upton) over the last few days. I just want to thank you for your prompt service and please thank the 3 engineers who attended over the last 2 days for their courteous and polite attitude – It’s a rarity these days. I had two of your engineers attend my branch today, I would just like to say that they are a credit to your company.. The guys kept me updated through the whole of the time that they were on site. Thank you Spike, we pride ourselves here in Metro Rod on the excellent service that we provide as well as our clear communication and we have passed your comments onto Mark and Paul. One of our engineers were called out late on Tuesday evening for an uncontrollable leak coming through the bathroom ceiling. Our customer took the time to provide us with the following feedback. Its always nice to receive such lovely feedback from our customers, so we would like to say thank you for taking the time to provide us with your feedback and well done to Kieran. Our engineers were recently called to investigate a blocked drain at a property built in the 1940s, located in Ebbw Vale. The old drainage system had posed some problems for the homeowner that was causing repeated blockages. The homeowner enlisted our services after searching for a reputable drainage company on Google. All of our engineers are trained to the highest standard, each hold all of the relevant industry standard qualifications meaning that we are both capable and safe to carry out our work. 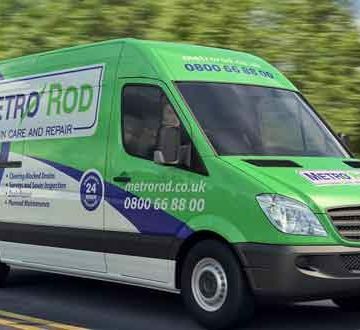 You can be safe in the knowledge that Metro Rod are the industry leaders in drain care and repair. “Can you please pass onto the relevant people that the engineer that attended yesterday (sorry in all the chaos I couldn’t remember his name) he was excellent and a real credit to your organisation, he was extremely courteous and professional and resolved the issue in a timely manner. He also really wanted to help and went out of he’s way to even help the team clean up all the mess . We are really proud of Steve, the operative on this job! We are also proud though that this is the level of service that we deliver across the board, thank you for your kind words Danny, they have been passed onto Steve directly. Great review for two of our Drainage Engineers from Haydon Bridge.